STATELY, ALL BRICK TWO-STORY HOME! 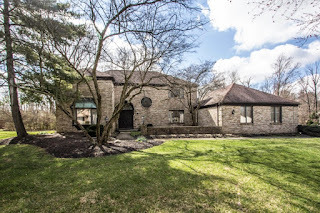 Over 4,000 SF home on a very scenic ~3/4 acre wooded and ravine cul-de-sac lot with creek. Formal Living Room has a wood burning fireplace. Family Room has 2nd fireplace, wet bar with built-ins and walks out to a patio with pergola. 1st floor Office with built-ins. Giant, fully applianced island Kitchen has wrap around cabinets. Expansive Master’s Retreat has walk-in closet & updated shower bath. 1st floor Laundry. Basement, ready to finish, with egress window and wet bar. Updated carpet, flooring, appliances, roof, furnace, heat pump, bathrooms and so much more! Absolutely perfect in every way! 4 BR’s and 3.5 Baths. Only $369,900! Call DeLena today!